I'm not going to lie to you. Being in Rome in August is no picnic. And I should know: I've done it many many times. The city is at once empty and crowded: empty of locals and crowded with tourists. It's unbearably hot and humid, and air conditioning is not guaranteed. Your favorite restaurants are closed, you can forget about going shopping anywhere but international chain stores. Public transport is even worse than usual (and that's saying a lot). Did I mention it's ridiculously hot? And miserably humid? The neighborhoods on the fringe of the city are naturally the most deserted. Fewer tourists go there, so merchants and restaurant owners have less incentive to keep their doors open, since the majority of the locals won't be there either. 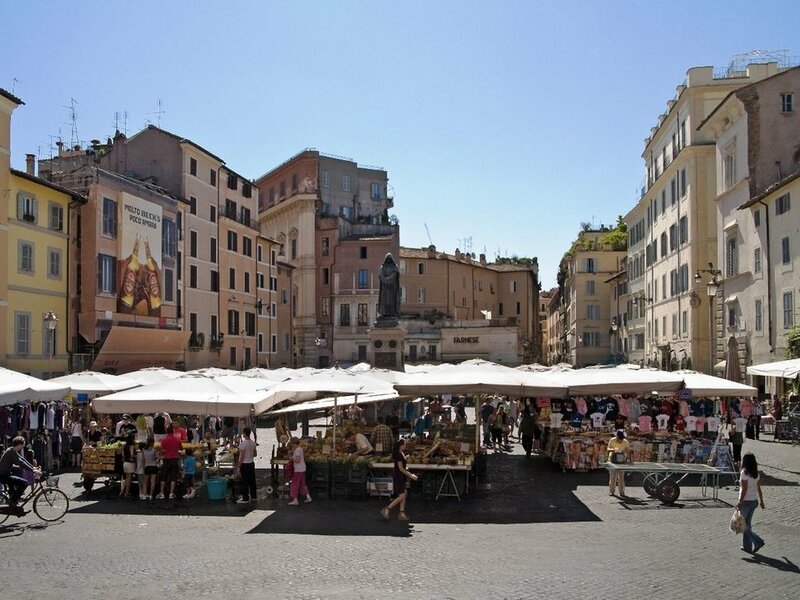 If you’re looking for a place to chow down or buy a new pair of sandals, keep to the more touristy areas of Piazza Navona, Trevi, Campo de' Fiori, and the Spanish Steps, where merchants are more likely to stay in town. Just in case you're having trouble finding a place to eat, here's a very comprehensive list of quality restaurants that are open for all or part of August. One thing that you can count on staying open all month are the city’s museums. The air-conditioning will be a refreshing bonus as you admire the works of art in museums much emptier than you would find in other months. And—bonus—no lines! The one glaring exception to this rule is the Chiostro del Bramante (my personal favorite place to attend an exhibit), which will be closed all of August. The MAXXI (Rome's Museum of 21st-century Arts) on the other hand, will not only be open all summer, but the entrance will be reduced to 5 euro, which is really a bargain. There’s something delicious about traipsing through the deserted city in the middle of the night. The center of town is relatively safe after dark (just steer clear of Termini Station), so wander the crooked cobblestone streets to your heart's content. 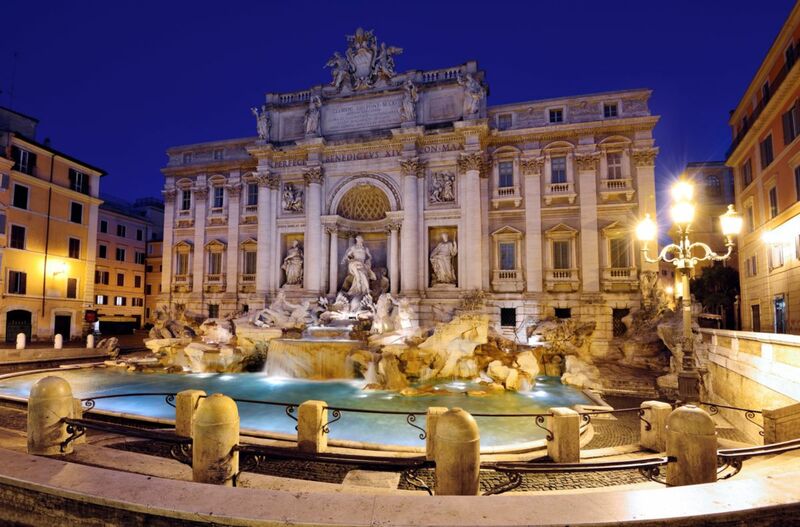 Get lost along the romantic, deserted backs streets, but not so lost you can't find the Trevi Fountain. If you get there late enough, you’ll have the whole thing to yourself. Many (many) moons ago, I was out very late with a group of friends in late July or early August. To be honest, the night is a bit of a blur, although I can distinctly remember riding bikes around Piazza di Spagna well past 3am, singing Do, A Deer for some reason. But one thing I'll never forget is coming across the Trevi Fountain completely deserted. It was probably 4am by then, and my friends and I sat for at least an hour on the stone bench just in front of that magnificent water show, entirely alone. It was mesmerizing. Especially considering, during the day—in all seasons—you have to elbow and fight your way just to get close enough to throw your coin in. If the thought of staying up until 4am is laughable for you, do the opposite and get up early. In the muggy and sometimes miserable month of August, the air at 7am is decidedly fresh and pleasant. Not only that, but the diffused early morning light gives the city a glow that rivals the afternoon light the city is famous for, but without the baking heat that accompanies it in summer. Best of all, without the noise, traffic, and pollution of the city’s commuters, a 7am walk will make you feel like you have the entire, golden city to yourself. Once, just before an 8:30am tour, I found myself standing at the base of an absolutely deserted Spanish Steps. It was magical. Be sure to take a camera and capture Rome’s most famous sights with out a single other person to mar the shot.